As a couple, we don’t often go out for Italian food but when we do, we have quite high expectations. 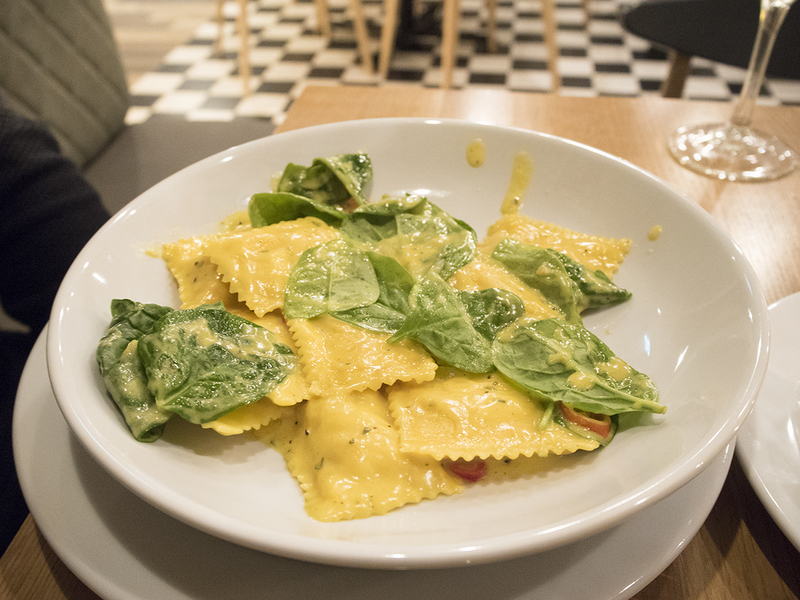 When I heard that Prezzo was opening its second Manchester city centre restaurant and they had invited us down for a taste, I was a little sceptical of how tasty Italian food could really be from a chain restaurant. Although after scouting out the menu online and spending a good 20 minutes picking out potential dishes to eat that night (anyone else do this too? ), I was confident we had nothing to worry about. I’d spotted at least five potential choices for my main course alone! It’s definitely not all spag bol and lasagna here. One thing I loved from the moment I set foot inside their Deansgate restaurant, was the impeccable interior styling throughout. It has a casual, friendly atmosphere and the restaurant really does stretch back further than you initially expect from seeing it outside. I loved the black and white check floor tiles, grey and taupe upholstery and oak tables, which were definitely giving me a little inspiration for my own home renovation! There’s even an open kitchen at the back for you to take a peek at your food as it’s being prepared. It’s definitely somewhere I could see myself meeting my parents for lunch or catching up with a friend over a casual dinner after work. 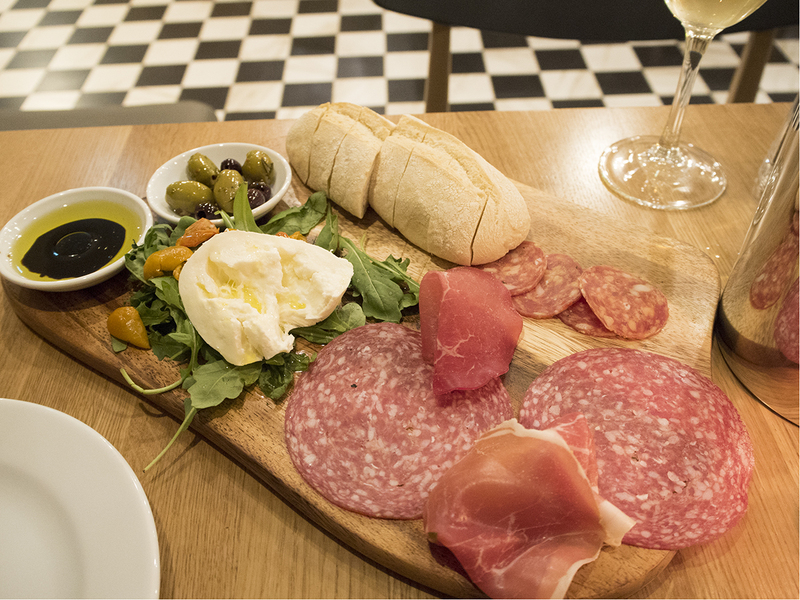 The Italians are known for their sociable dining experiences and what better way to do this than by ordering a huge platter of food to share as your starter? 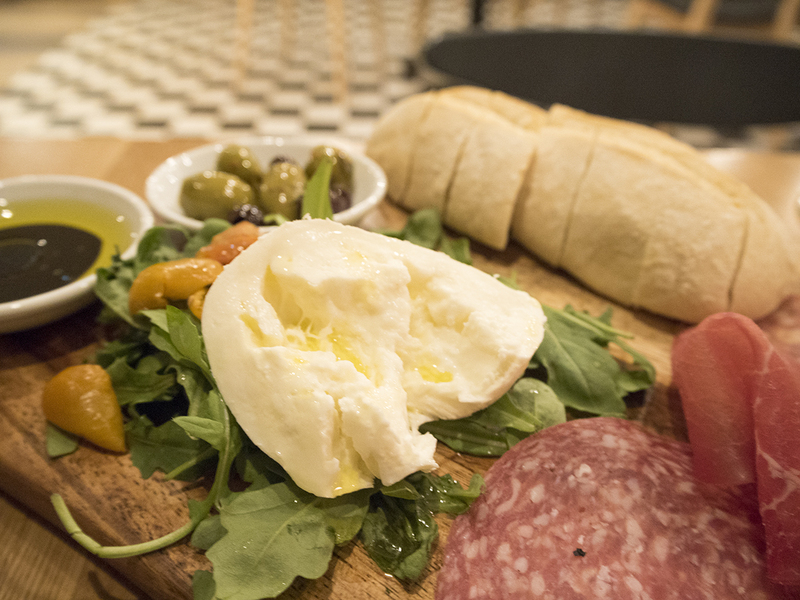 The antipasto to share board was always going to be our choice for a starter, despite there being plenty of other great options on the menu, as we always get food envy when eating out. Sharing a platter of cold meats, mozarella, rocket, white bread and olive oil & balsamic vinegar, we thoroughly enjoyed sharing out each part and fighting each other for the dip. It’s a simple starter, but one that really hit the spot, although if I were to change anything, I think the bread could have been a little bit more authentic and crusty. If there’s lobster on a menu, Mat & I always fight as to who gets to choose it as their main. He won out this time and went for the Lobster & Crab Tortelli, a filled pasta dish with spinach and red chilli in a saffron sauce. Although it doesn’t look like much in the dish, it was extremely filling with lovely flavours. I’m definitely going to be back again to try this one out properly! 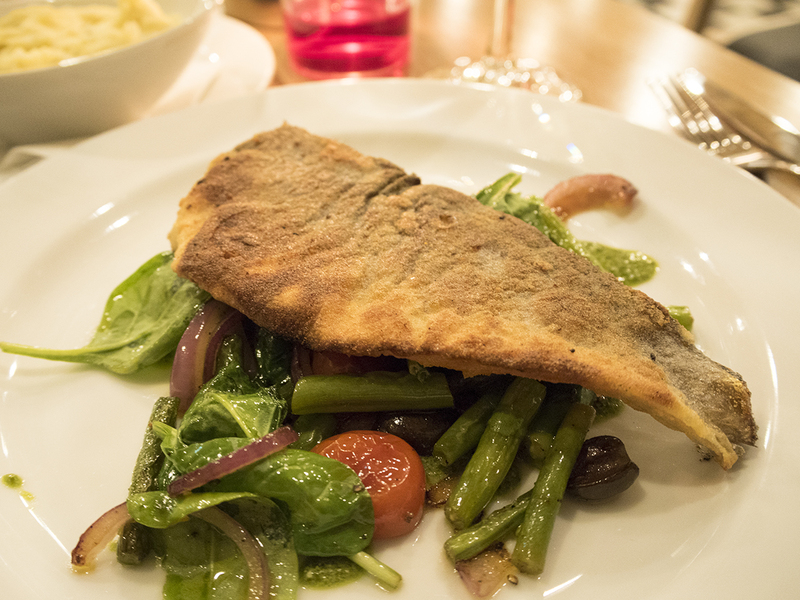 For my main, I went for the Seabass dish, which was served with basil pesto, asparagus, tomatoes, olives, red onion, green beans and spinach. It also had a side dish of rosemary and garlic mashed potato, which was SO tasty that I’m going to make sure we try it out at home the next time we have a Sunday roast. 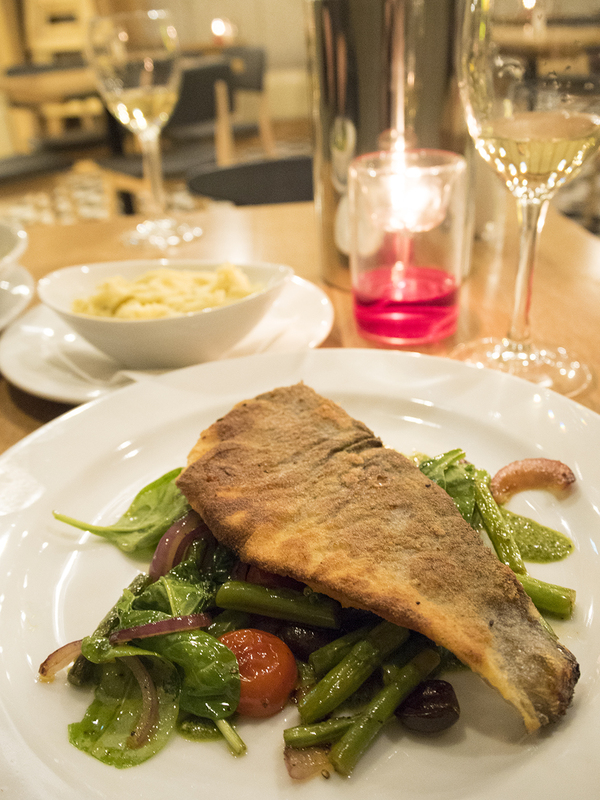 I was a little disappointed with the seabass, as although it was a great piece of fish, the top was too overcooked for my liking. Crispy is good but it was rock solid! …Until we saw the dessert menu, that is! After our visit to Veeno (check out my full review here), I was really in the mood to try out Tiramisu again, as I loved the one I tried there. 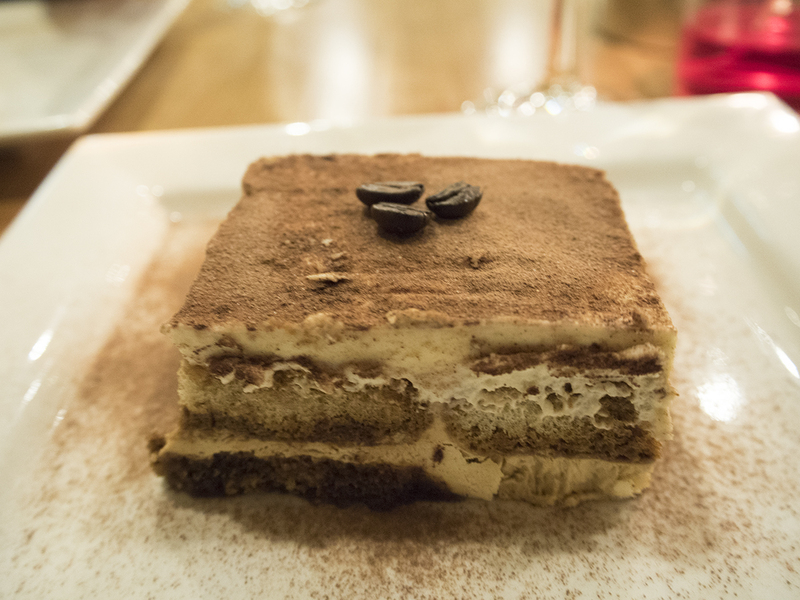 Prezzo’s tiramisu was equally as tasty, with no overpowering coffee taste and the perfect amount of sponge and creaminess. Mat was too full for dessert so obviously I forced him to get one anyway. 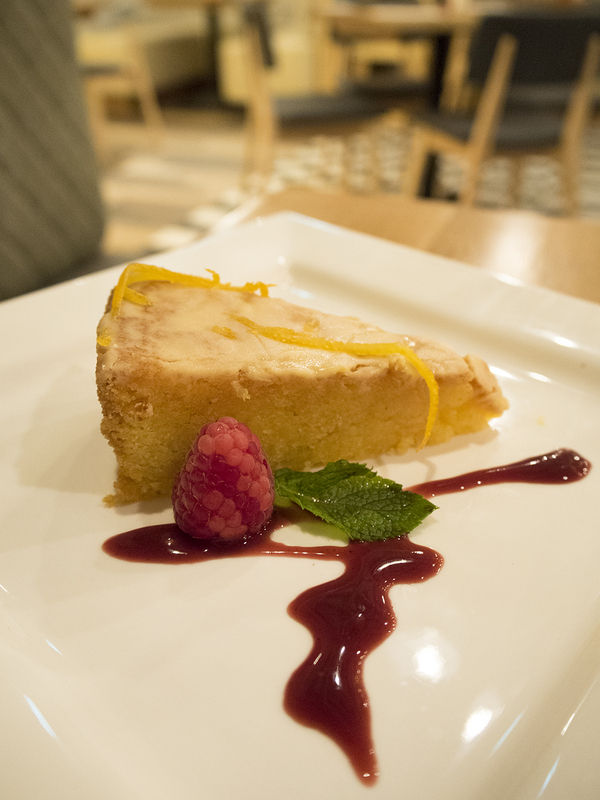 He chose the Blood Orange Polenta Cake, with a raspberry coulis, which looked (and tasted) amazing! Polenta cake can sometimes be a little dry, but this was the perfect consistency with a beautiful tangy orange flavour. 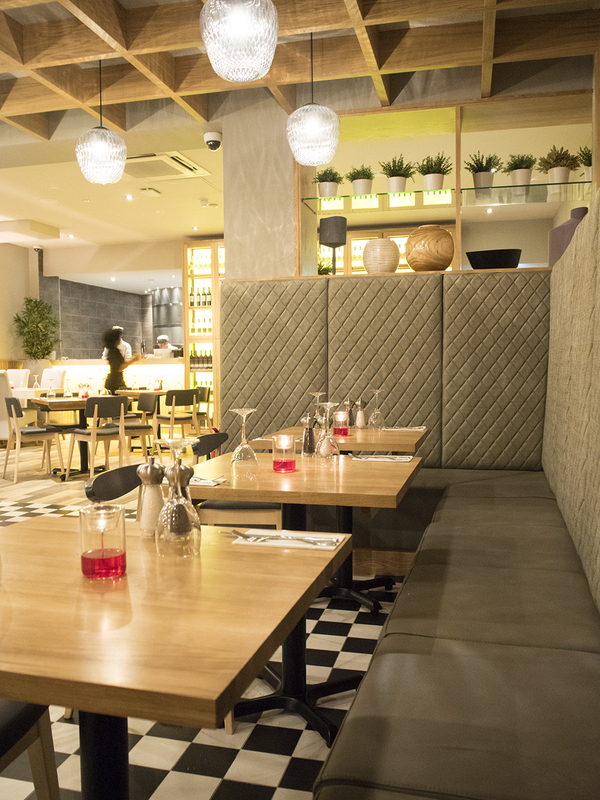 If you’re after a quick, inexpensive bite with friends or family, Prezzo is a great place to book to suit most peoples’ tastes. 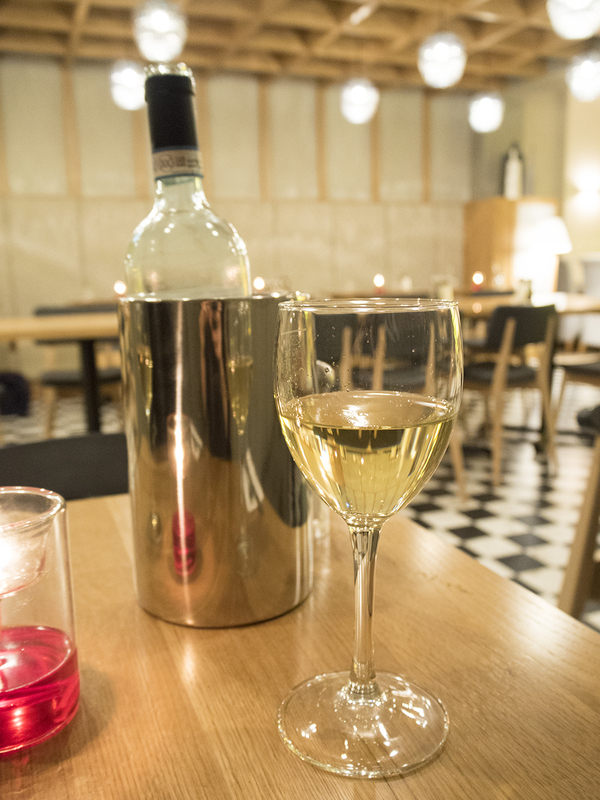 It’s a warm, friendly environment with some seriously tasty Italian dishes. Perfect for a weekday evening when you can’t be bothered cooking! 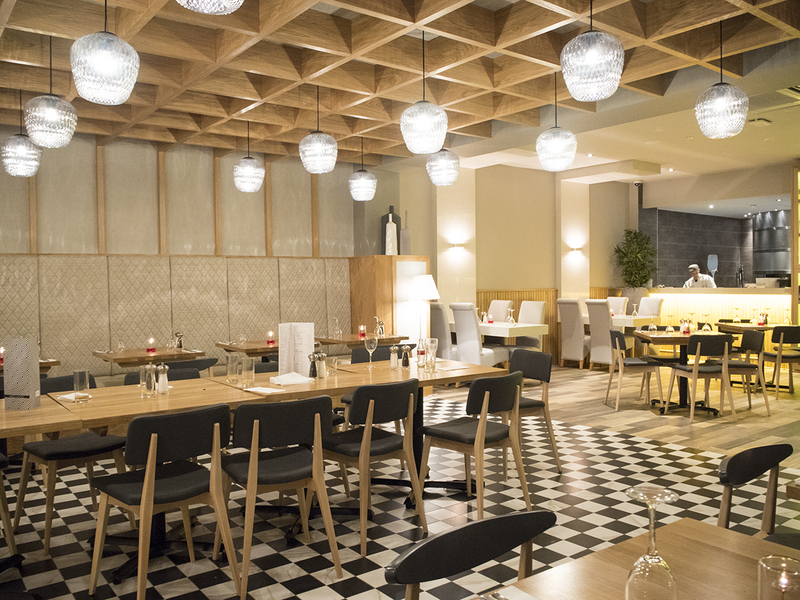 Prezzo have restaurants all over the UK, you can find your nearest restaurant and have a sneaky peek at their full menu on their website here. Our meal & drinks were complimentary of Prezzo, but as always, all thoughts & opinions are my very own. Have you ever visited Prezzo? What’s your favourite dish?